Although the iPod revolutionized the way we enjoy our tunes on-the-go nearly a decade ago, the introduction of iPhone in 2007 has seen a decline in the popularity of portable media devices in general ever since. That said, the market has still continued to remain afloat, and even the iPod touch – dubbed the iPhone without the ‘phone’ part – pushes decent numbers amongst younger folk. 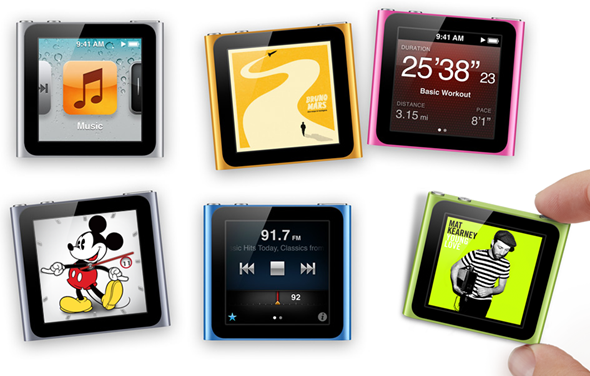 The iPod nano has been the device subject to most change over the years, with the current version taking in elements of the iPod touch (screen), iPod Shuffle (belt clip), to present a nifty little device at the pinnacle of portability. Despite packing in a half-decent color screen, the lack of wireless connectivity or camera – as well being deficient of any video playback or photo viewing – means it may as well be monochrome. 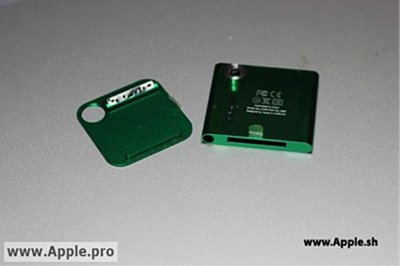 In a move which may bring some zest to what appears to be an ageing format, a prototype of a next-gen iPod nano has appeared which we featured today as well courtesy of MIC Gadget, and while keeping the form factor of the current iteration, also includes a 1.3 mega-pixel camera. Apparently the two month old prototype, which makes for a curious product in the first place, is dogged with issues. Although you may not expect much from a 1.3 mega-pixel cam in the first place, its auto iris lens takes overexposed photos, meaning shots snapped appear white-looking and washed-out. Citing factory sources, MIC Gadget reckons Apple is working on addressing the issue before release, with the device thought to be arriving in the next couple of months. A 2-megapixel camera was also tested, but the resulting images were way below standard, thus the idea was eventually scrapped. We cannot truly see the purpose of including a camera to the iPod nano, especially one which just won’t reach the heights we’ve come to expect over the last few years. Maybe Apple, sensing the iPod range is in its twilight years, is simply putting it out there – throwing ideas and concepts against the wall, and hoping they’ll stick? So, here’s what we know so far: the lens aperture problem would delay the release of next-gen iPod Nano, it would arrive late 1st quarter or early 2nd quarter 2012. It will not follow one year release cycle. One thing’s for sure, we’re not massively impressed. Thoughts? Feel free to share them with us via the usual mediums below – we’d love to hear them!